Have you ever struggled with travel planning and trying to figure out where to go and what to see? The Council of Europe may help ease your travel planning with one of their incredible 28 cultural routes. Then again, it may make your decision even harder as you’ll likely discover routes and sites that you previously hadn’t heard of! 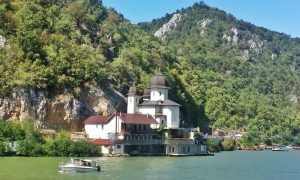 I was intrigued by the idea of planning a trip around the cultural routes and did just that in Serbia by exploring sites on the TRANSROMANICA and Roman Emperors and Danube Wine Route. 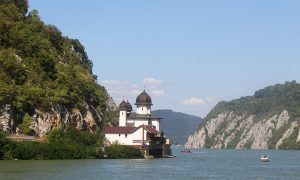 The first stop, wasn’t really a stop, but an Iron Gate Cruise along the Danube. We started from the city of Donji Milanovac where the river is at its widest at 5.5km, resembling more of a lake, than a river. Then, it dramatically narrows to just 130 meters in the Kazan Gorge. 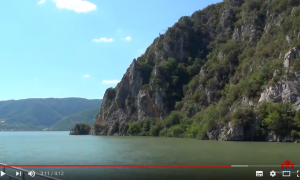 The Danube, which divides Romania and Serbia, is where the Roman Empire established its eastern border. Military fortifications were built to protect from Barbarian tribes crossing the river. Centuries later it still plays an important role in transporting good. 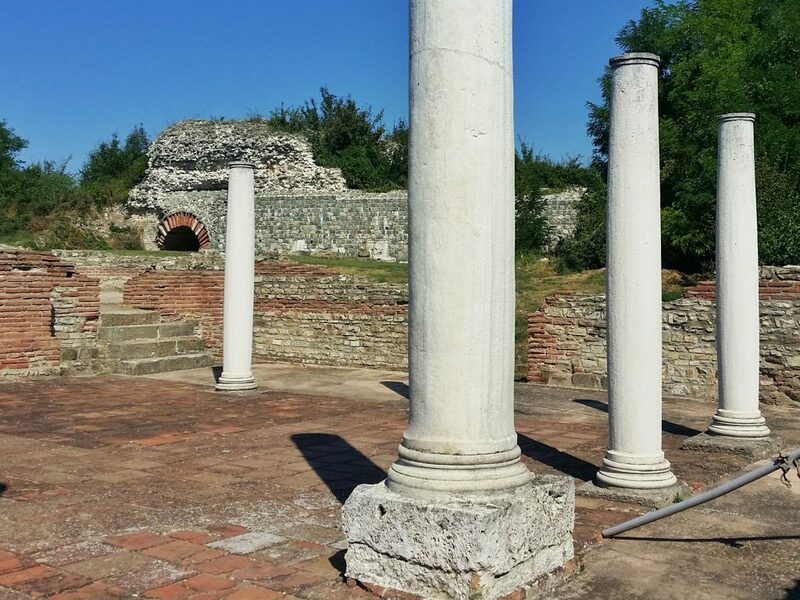 The most important site along the Danube in Serbia is the Trajan Table, dating back to 100 A.D. It’s important to note that it can only be seen from the river. It was built by Roman Emperor Trajan and commemorates the completion of the Roman military road through the Kazan Gorge. 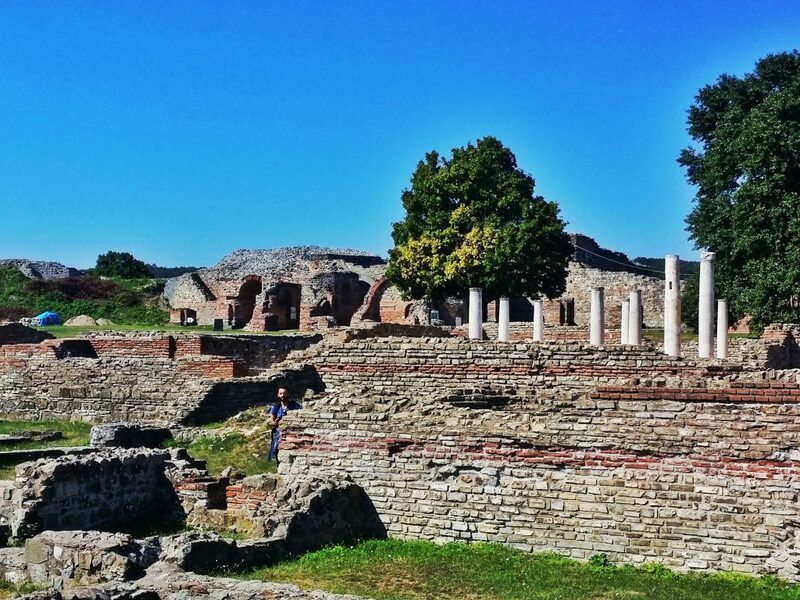 Back on land, you’ll want to visit another highlight of the Roman Emperors Route, Felix Romulina. 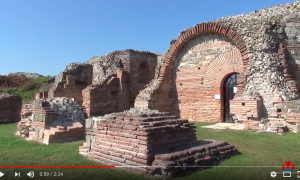 This UNESCO World Heritage Site is an ancient 3rd century Roman settlement where you can see the remnants of the fortification, palace, basilicas, temples and hot baths. It was built by Galerius, an Emperor of Rome who named it after his mother. The UNESCO sites don’t stop there though when you’re following one of the Cultural Routes. 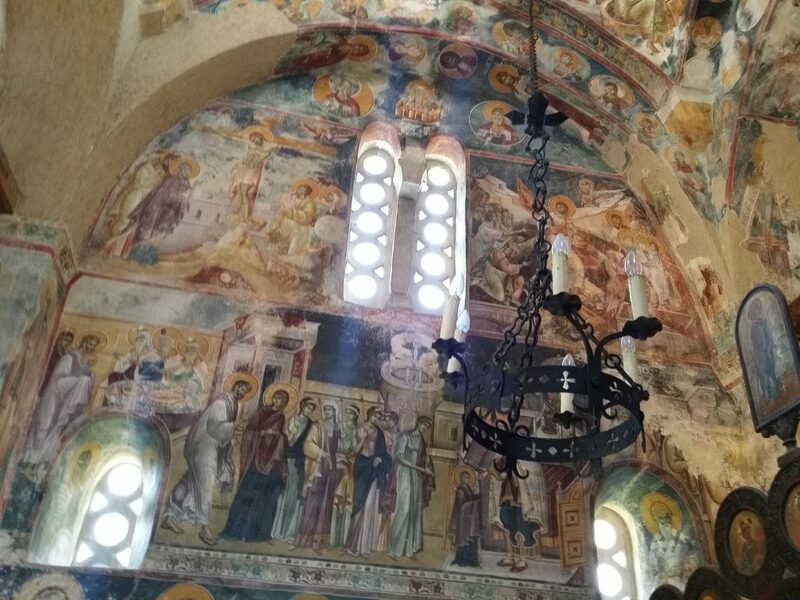 I actually had the opportunity to spend the night in one of the highlights of the Transromanica Route, Studenica Monastery, the largest Orthodox monastery in Serbia Established in the late 12th century, its renowned for the Church of the Virgin and the Church of the King with their priceless collections of 13th and 14th century Byzantine paintings. The excitement starts long before you arrive though. 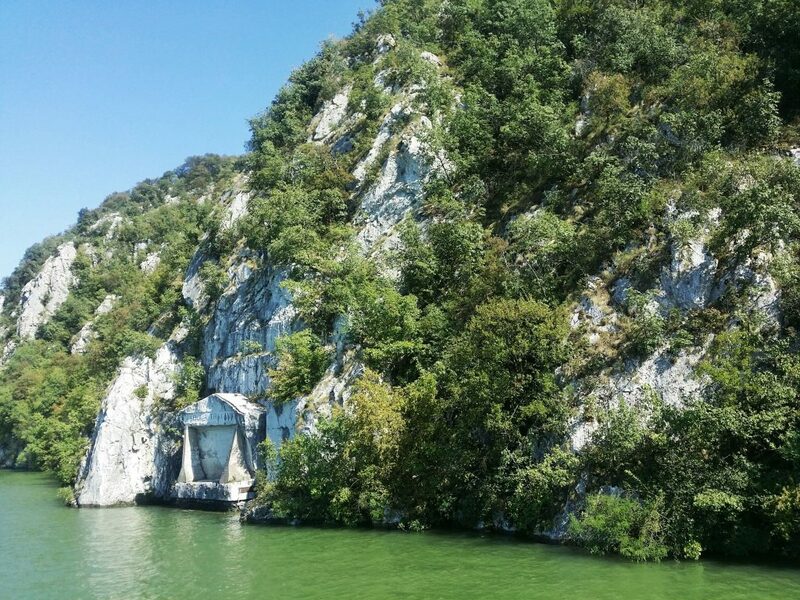 It’s part of the Bolija Studenica Biosphere Reserve and the drive up the windy hilly road leading to it is absolutely stunning. 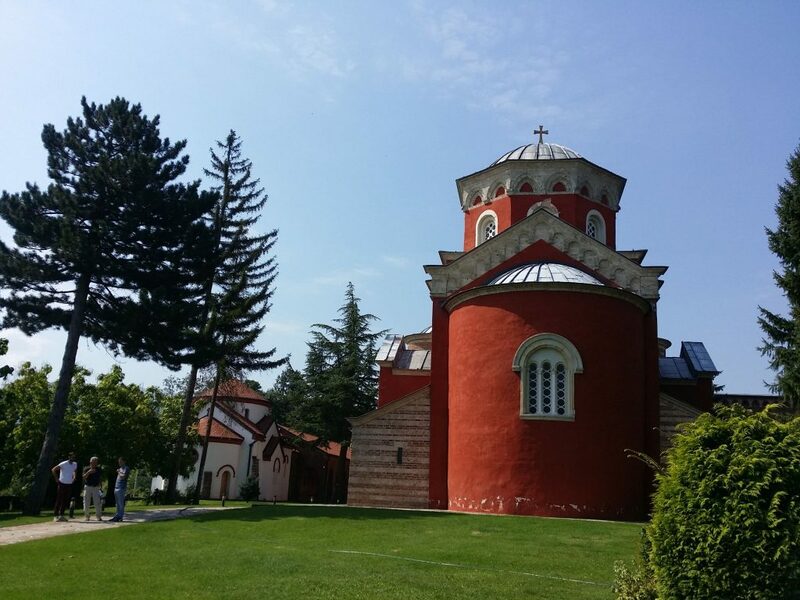 Not far from Belgrade, you’ll find Zica Monastery. 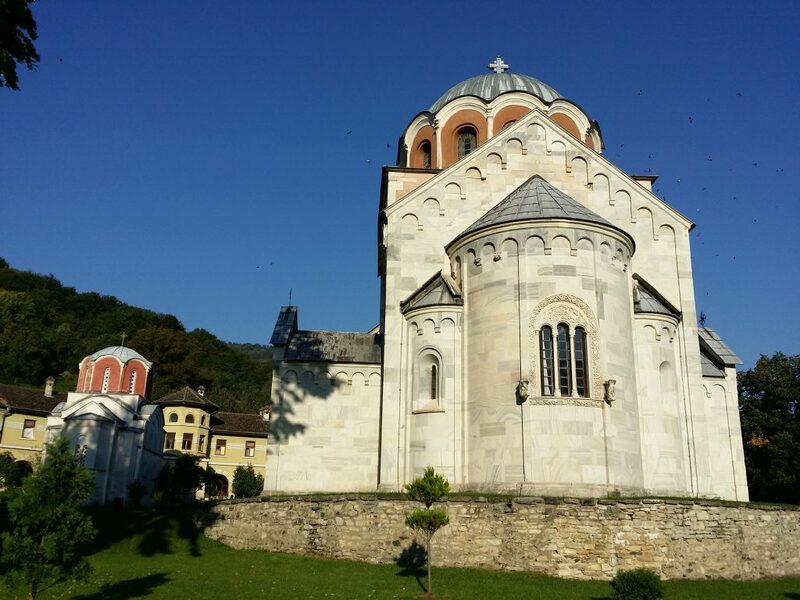 It dates back to the 13th century and is significant as its where the seven medieval kings of Serbia were crowned. The red color represents its royal routes. Today, over 40 nuns call it home. 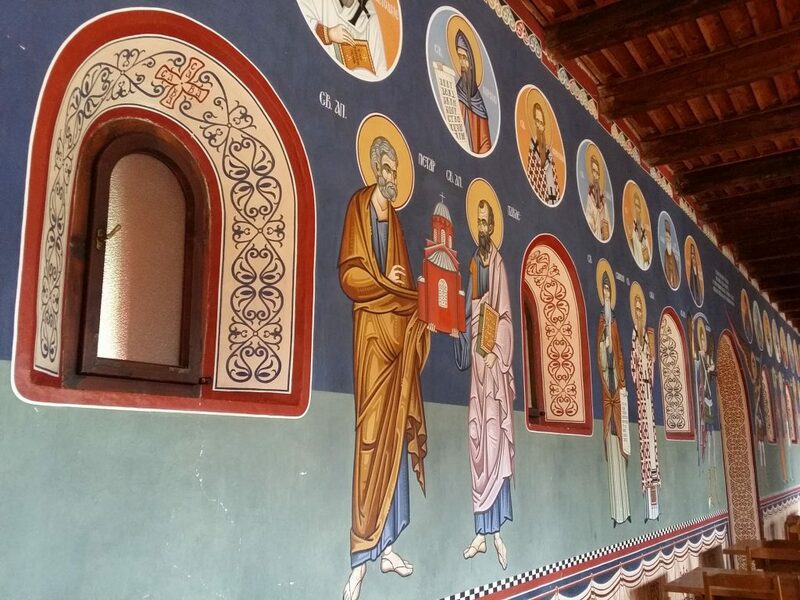 I really enjoyed planning a trip by choosing to visit the significant sites on the Cultural Routes. Now I’ve got my eye on the Route of the Fortified Towns of the Greater Region. Note: This article is part of the Crossing Routes – Blogging Europe 2016 campaign, in the framework of the Joint-Programme between the Council of Europe and the European Commission aiming at promoting the Cultural Routes of the Council of Europe, in collaboration with iambassador. Monkeys and Mountains Adventure Travel is the ultimate guide to active holidays, and hand-selected, personally tested adventure holidays, along with resources to make your travel planning easy. Written by me, Laurel, a Canadian living in Munich, Germany with my husband and 2 cats. Wherever, I am, you’re likely to find me exploring in the mountains.